Geothermal power plant uses hydrothermal energy of the earth for heating as well as electricity production. What is this hydrothermal energy resource? So it is an energy source which has both water and heat, the heat beneath the earth (magma) is used to heat the water present inside the earth. The hydrothermal resources are bring to the surface of the earth by dry wells and hot water wells. The temperature that is required for the working of GTPP is 149 to 371 C (300 to 700 F). The hot water first brought to the surface and then it is converted into steam; the steam is then strikes on the turbine blades and rotates it. Generator is coupled with the turbine shaft, so it also rotates with the turbine and produces electricity. If we talk in current situation than geothermal electricity is used in 24 countries and geothermal heating is in use in 70 countries. 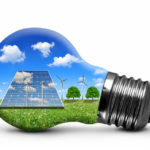 In the 20th century, the increase in the electricity demands puts a necessity to discover some other sources to produce electricity and it was geothermal sources. 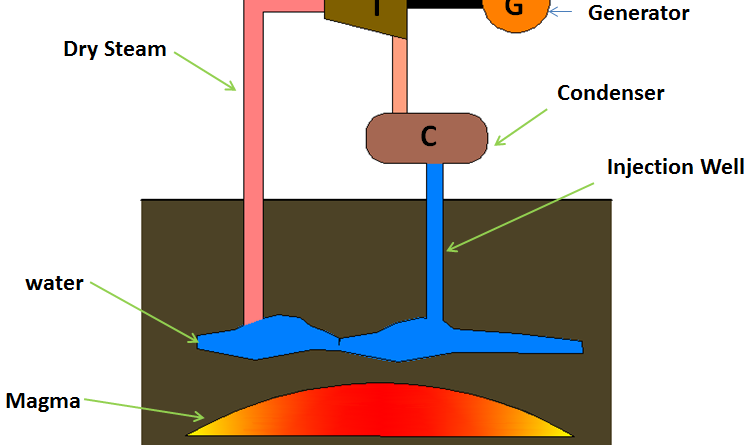 It was 4 July 1904, when Prince Piero Ginori Conti tested the first geothermal power generator in Larderello, Italy. This lit four light bulbs. The magma heats the water present inside the earth and increases its temperature greater than 182 degree Celsius. This hot water from the earth is piping to the surface of the earth through hot water wells. The steam from the hot water is separated and made it to strike on the turbine blade and it starts rotating. 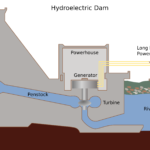 A Generator is coupled to the turbine also starts rotating and produces electricity. 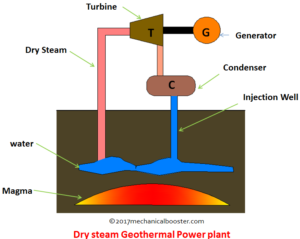 In dry steam power plant, direct steam from the geothermal reservoir is used to turn the turbine and generator to produce electricity. The temperature of the geothermal steam needed in this plant is atleast 150 degreee Celsius. In flash steam power plant, high pressure hot water from deep inside the earth is taken out and collected in a steam separator. This high pressure hot water comes to the surface by its own and its pressure keeps on decreases as it moves upward, this allows hot water to gets converter into steam. 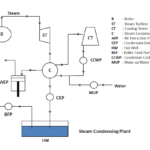 Steam gets separated in steam separator, and allowed to turn the turbine generator. When the steam cools, it is again injected back into the earth surface to be used again. 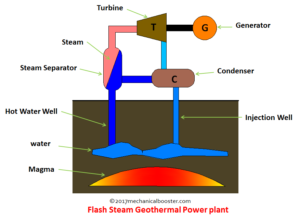 Nowadays most of the geothermal power plants used are of flash steam plants. 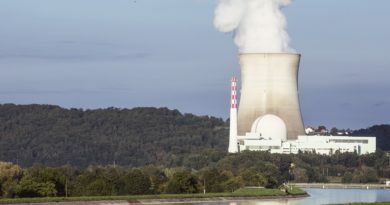 This power plant requires a temperature of atleast 180 degree Celsius for its operation. 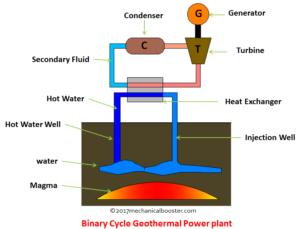 In binary cycle power plant, the heat of hot water is transferred to another liquid (called as secondary liquid). The heat of hot water causes another liquid to change into steam and then this steam is used to rotate turbine. 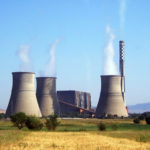 It is the most recent developed power plant which may be operated at lowest temperature of atleast 57 degree Celsius. The secondary fluid (i.e. another liquid) used in this binary cycle geothermal power plant has much lower boiling point than water. It works on both Rankine and Kalina cycle. The thermal efficiency of this power station is expected to be lie in between 10-13%. This power plant is called as binary, since here we are using two liquids (hot water and secondary liquid) for its working. 1. Hydrothermal resources: It is a source which has both heat and water. In the earth crust we have both water and heat (magma). 2. Dry or hot water wells: These are the wells through which the dry steam and hot water from the earth is taken out. If dry steam is taken out than it is called as dry steam well and if hot water is taken out through it than it is called as hot water well. 3. Steam Separator: It is a separating device which is used to separate steam from hot water. 4. Turbine: It is rotating device which converts the kinetic energy of the fast moving steam into rotational energy (i.e. 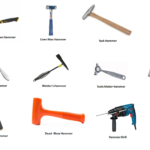 Mechanical energy). 5. Generator: It is coupled to the turbine shaft and converts mechanical energy of the turbine into electrical energy. 6. 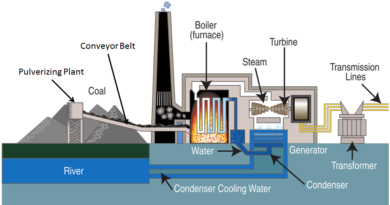 Steam Condenser: It condenses the exhaust steam from the turbine and changes it to water. 7. Injection Well: It is the well which is drilled in the earth to inject the condensed water again into the earth crust. The hot magma present inside the earth heats the water present in the earth. The temperature of the water increases upto 182 degree Celsius and even more. The hot high pressure water, due to its own pressure moves upward in the hot water well. As the water reaches to the surface of the earth, its temperature increases and some of the hot water changes to steam. This hot water is collected in the steam separator. The steam separator is a container of low pressure where most of the hot water gets converted into steam and rest will be separate out as water. The steam produced in the steam separator is allowed to strike on the blades of the turbine. As this high pressures steam strikes the blades of the turbine, it starts rotating. The generator coupled with the turbine also rotates and electricity is produced. The exhaust steam from the turbine which has low pressure sent to the low pressure turbine where it is further used to produce electricity. The exhaust steam is than enters into the condenser where it gets converted into water. Finally the water from the steam separator and condenser is collected together and sent back to the ground through injection well to reuse it again for power generation. 1. It requires no fuel for its working. 2. It requires minimal land and fresh water. 3. Geothermal power is a sustainable source of energy. 1. The fluid taken out from deep earth contains mixtures of gases such as Hydrogen sulphide (H2S), Carbon dioxide (CO2), Ammonia (NH3), methane (CH4) and Radon (Rn). If these gases is released, it will contribute to global warming, acid rain, Radiation and noxious smell. 2. 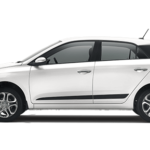 It requires emission control system to reduce the exhaust that may be produce form acids and volatile chemicals. 3. 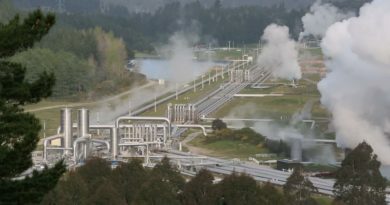 The hot water taken out from the geothermal sources is hold in a solution which may contain traces of toxic chemicals like mercury, boron, arsenic, antimonny and salt. when water cools these toxic chemicals comes out of the solution and can responsible for the environmental damage if released. 4. Geothermal power plant constructed at the site may adversely affect land stability.